Back acne is very common in adults and teenagers and treatments for this form of acne can be hard to find because many products do not work so I do the hard work for you and give you the best treatments for bacne and why. Hormones: Hormones and acne are “best friends” and when hormones in the body are active and used more frequently (growth and consumed foods) it makes acne breakouts more common. Sebum: The skin naturally produces an oil to lubricate skin and hair follicles. This oil rises up from the sebaceous glands under the skin through the pores onto the surface. This oil is called sebum and when hormones are active more oil is produced and pores can become clogged, attracting bacteria. Irritation: This is not a cause of acne, however it increases acne breakouts and further spreads once acne is present. For example. Touching, picking and squeezing pimples with bare fingers can irritate pimples and spread bacteria around. Just remember your fingertips touch many different things in the day and then may contact your acne prone skin. These are some of the main causes for acne prone skin. Let’s find out how to treat back pimples for the best results. 1. Murad Exfoliating Acne Treatment Gel This is the best acne treatment for body acne because it contains amazing ingredients for skin e.g. salicylic acid and sodium hydroxide which both treat acne effectively. This can be used anywhere on the body but works exceptionally well on the back, face and chest. Apply a thin layer to skin after cleansing, washing or showering morning and night. It’s an easy to apply gel that absorbs into skin without causing acne breakouts. It prevents acne breakouts, stop acne pimples, blackheads and spots becoming worse and controls acne. See why everyone has given this a 5 star by clicking here. Limit Time Only is now 20% off this 5 star acne treatment. If you’re looking for a simple mist spray to be used twice a day, that will not cause skin to dry up or become irritated. Then this is the back acne treatment for you. It only contains 0.5% of salicylic acid so it will work for sensitive skin to reduce inflammation and existing pimples, breakouts and lumps. Click Here for more information. Glytone back acne spray treatment has an ingredient that is used for many acne treatments because of its excellent results. Glytone back acne spray has 2% salicylic acid mixed with other powerful acne treatments to calm, reduce and prevent back acne. The reviews show how good this product is. See the reviews here. Back pimples and acne can be embarrassing and depressing however they can be treated and with the right treatment you will be seeing results within a couple of days. What’s Your Secret Backne Treatment? 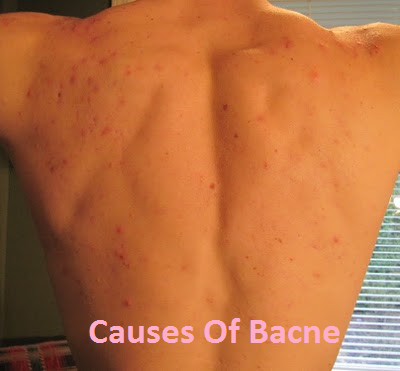 Bacne is back acne but shortened to “bacne” and is very common with teenagers and young adults however still effects many people in there 30s, 40s and 50s. There are many different bacne causes and some of them are so simple and others are just common habits that cause your bacne to become aggravated and “breakout”. What are you doing wrong that could be causing your bacne to come back? Picking, squeezing and pressure: These three are one of the main causes why pimples, spots and zits become sore, uncomfortable and irritating especially for teenage acne. This is because they cause pimples to spread, become worse and scar so to prevent these you need to never touch you bacne, avoid squeezing spots and itching sore skin. This is because your fingertips carry around bacteria/dirt and these can cause pores to become blocked around pimples resulting in… More bacne! (Another thing is when putting pressure on pimples/spots this can cause cysts to appear due to breaks under the skin. These can be prevented by leaving alone. Shower Gels and body washes: This one is different for everyone ie some people will breakout with pimples from certain lotions, creams and gels because there skin is more sensitive to these. Using a sensitive body wash can really reduce the chances of pimple returning with all skin types. What this does is clean skin in a more natural, less chemical way which is kinder to skin all over. Good examples of these are DOVE Body Wash (Now 39% Off Here). Sweat: During and after training, working out and physical activities, the body will naturally sweat to reduce heat and temperature. This sweat can cause back acne to be more common so by using the DOVE Body Wash you can reduce pimples from appearing the next day. Set a time for yourself after physical activities, (Within 1 Hour) make sure you wash your acne prone skin. So these are some very common bacne causes and by keeping skin clean, less irritated and sweaty you will stop pimples coming back for clear skin this summer. However that’s not the only way you can prevent bacne. What can you do to stop pimples breakouts on the back internally? Water: The body is made up of 70% water so as you can guess, its important to drink water on a regular basis. The average adult should roughly drink 6-8 glasses of water a day. Now even I struggle with that and I am sure you do to. Drinking water is much cheaper than fizzy drinks and will help flush out acne from the inside. You will save money, pimples and your liver. Junk Food: This is really beneficial for you… Not. It is full of bad ingredients that make your hormones go crazy and this results in extra build up of oils on the face, back and shoulders. (These excess oils clog pores and cause big breakouts so avoid when you can. They taste so good though! If your bacne is annoying you and looking for a simple solution then I strongly suggest you try the Dove Body Wash while you can get it for 39% off. Saves you money and the chances of scaring because it for sensitive skin and a well known brand. it will remove sweat, dirt and excess oils when used in the shower or bath without breakouts appearing and pimples returning. It also works well for inflammation. When skin was warm (about 2 minutes in shower) I applied a small amount to fingertips and rubbed gently into my bacne shoulders and back. Whilst I do this I face away from the shower head so I can thoroughly get all areas of my bacne without water for about 30 seconds. Then just rinse off. Do you suffer from bacne like I do? Try some or all of these tips, tricks and advice and prevent those annoying, embarrassing and uncomfortable pimples/spots returning. Get your Dove Body Wash (39% Off Click Here Only) to control and wave goodbye to your bacne. What’s Your Secret Bacne Routine? Acne Vulgaris is the proper name for ‘acne’ and there are many forms of acne such as hormonal acne, cystic acne, back acne (Bacne) and many more that all effect skin in similar ways but each uniquely. Mild- severe acne is common in teenagers/ young adults and is caused by excess oil due to hormones in the body being ‘more active’ with growth. However its more common than you may think for adults to not wave goodbye to their acne in early 20s, and continue to suffer from acne and body acne up to 40s and 50s. 85% of the population get acne at some point in their life. Generics can cause acne to be worse in some families this but doesn’t mean it can not be cured. Picking, iching and squeezing pimples causes scars, more acne pimples and just makes skin much worse. 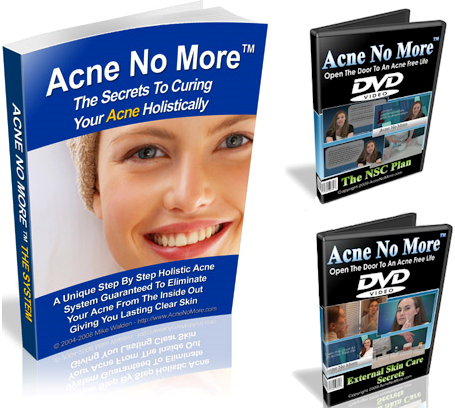 These were just some of the courses of acne but what I am going to be talking about is how to get rid of acne on the back and chest, naturally with a original best seller since 2003 (Plus Money Off Link If Your Considering). Back and chest acne is hard to hide especially in the summer months when its hot and sweaty, so dealing with this requires good trusted treatment without any side effects that will do the skin internally and externally good. 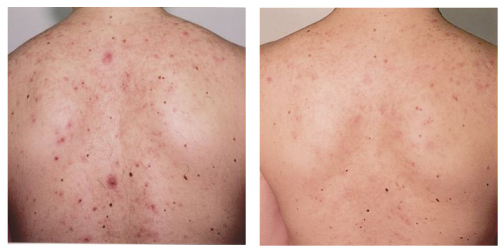 Some external treatments on the market can have side effects like stinging, burning and dry skin however I am going to show you a completely natural way to cure your back and chest acne within weeks that you cannot ignore. Body acne can be caused by a number of reasons however normally is caused by irritation, sweat and diet. What I mean by this is the clothes you where could be irritating your skin and causing acne breakouts to irrupt. For example tight clothing will cause pores to become blocked due to skin not being able to breathe whilst doing its natural routines to keep skin fresh. Avoid wearing tight clothing and if sweat try to wash of acne prone areas within an hour to avoid further acne breakouts. Shower gels and shampoos, these can be the main culprits when it comes to washing sensitive skin. If you are prone to acne your skin will be more sensitive than normal and the slightest strong ingredient in your favourite body wash can spark/trigger acne. Using a mild body wash daily will greatly reduce acne anywhere on the body. The natural Treatment is called acne no more and the reason I want to bring this to your attention is because it is what every acne sufferer is talking about because its completely natural and actually works. You can find it here. What this does compared to other treatments on the market is go into depth about acne, what causes body acne and how to cure your acne within weeks and permanently in months. It takes a natural approach working from the inside out to stop acne from the start. Since the age of 11 I suffered from severe acne on the neck, back, face and chest like I had been dipped into a ants nest head first. It wasn’t a issue from the waist down. I then heard about this natural treatment and after reading some positive comments I purchased Acne No More to become pleasantly surprised that it actually helped me a lot more than I thought it would. And I didn’t even take it seriously for the first week. In this program they give you step by step guides and make you more aware of how to cure acne on the back, neck, chest, face, you name it they know. It has so much detail it will take you a while to get through it all and by then you should have clear skin. The 100% Money Back Guarantee will make sure of that. Finding out how to get rid of acne on the back and chest is hard especially when treatments can cause unwanted side effects on such open areas of skin. My approach was the best approach and it was completely natural. This is one of the best decisions I have made for my acne on the chest and back and is showing better results by day with no side effects, what so ever. Very pleased with this product and gladly recommended. BACNE– Refers to the skin condition Acne (Acne Vulgaris is the proper name) that resides on the back and body of acne sufferers. Pimples, spots, nodules, sore inflammation, redness, whiteheads and blackheads are Bacnes best friends and come in packs that affect the skin in embarrassing, uncomfortable and depressing ways. Bacne is just as annoying as facial acne because simple day to day things like swimming become a embaraasing activity because you know that everyone will notice your bacne and people judge it as being dirty, unhealthy and simply like you don’t wash, which is completely untrue. The good news is that its easily cured and there are some excellent treatments on the market for back acne today. Unfortunately, once bacne has been and gone it wants you to remember its existence by leaving you with holes, pits and scars in the skin that can completely dis configure skin and the colour of your skin but that’s were I want to help. I are gong to give you the best natural and Branded Treatments for acne scars on the body and back so if you want these, grab them quick because we have found all the discount deal links so you can get them cheaper! Everybody wants to treat bacne (back acne) naturally because it benefits the body naturally and has no side effect,s but what actually works and where are the best sources to find these natural mother nature miracles. The downsides to surgery are that its difficult, very expensive and always a risk of causing more scars so here’s my Top Inexpensive Bacne Scar Treatments That Anyone Can Do. Aloe Vera: This is a mild scar reducer that will never cause acne breakouts to appear whilst using. Externally, this is a good way to build scar tissue up using natural collagen inside the gel of the leaves to reduce the appearance of scars. This must be pure 100% Aloe Vera for the best results and can reduce scars size, redness and colour within weeks of daily usage. It may be used internally and externally by apply to skin or adding with foods. The only bad side is that it doesn’t taste nice raw.. YUK. Directions; use a generous amount on finger tips and rub/massage into scars in circular motions making sure to apply evenly and around the surrounding areas. For more info Click Here. Bio Oil: This isn’t really natural however it really works for stretch marks, uneven skin tones and acne scars whilst showing results within 2 months. This definitely a must try because it was created solely for scarring and has won a few rewards for its results. This must be used correctly though otherwise you could be wasting your time and money. 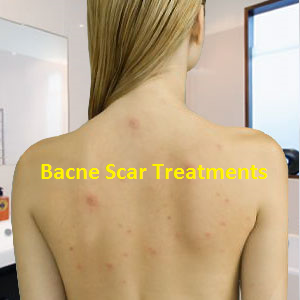 Bacne scars are common after back acne has passed and these can really upset sufferers as they are always visible. What are the best treatments for this? This is my personal favourite brand for acne scars of all time because I love the label, I love the long lasting and I love the way it works well. I used this as instructed and gained results surprisingly quick without much effort. I recommend this product to anyone who sufferers from bacne, acne or any scars because its reliable, easy to use and inexpensive. Why Consider This Professional Treatment Cream For Bacne Scars And How Does It Work? Revitol have been around for a while a built up a trustworthy reputation so they are well known for doing a job properly and come with a whopping 90 day (3 Month) money back guarantee so you can buy in confidence. But understanding how is works for acne scars is simple really. It basically increases the skin’s regenerative abilities so they help rebuild scar tissue and collagen If used correctly that is. Simple, easy and affordable. Good Treatments for bacne are hard to find unless you have used them and the natural ones are good for healing too. Stronger treatments like Revitol are very useful at reducing scars without causing acne breakouts. Whilst these treatments are “cheap” and affordable surgery and other clinical treatments for bacne scars are not. 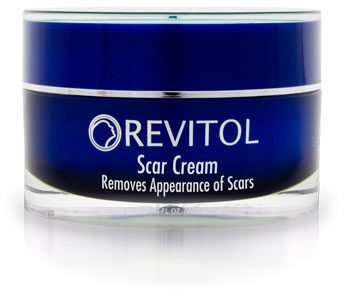 Natural ways are everyone’s favourite and can benefit the body all round however if you want results faster, quality reassurance and a 90 day guarantee for your scars then Revitol Scar Cream is your new best friend. This is why I wanted to bring this to your attention and also with a discount link if you like to save money (Like Me) and still considering so bookmark this page. Also be aware there are many fake versions on other places on the internet so best buy from Revitol directly with the direct link provided.